In 1980, David Hough started Hough Oilfield Service with a '66 Mack and a set of casing tongs. By 1982, the business expanded to include a power swivel, reverse circulating unit, cased hole and open hole fishing and rental tools. 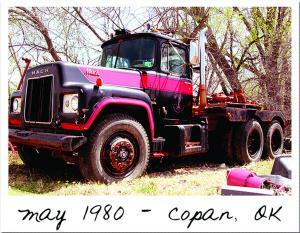 In 1984, he purchased an power swivel, reverse circulating unit, along with additional fishing and rental tools that would make up the contents of the first yard that was built in '84 in Copan, Okla. In early '88 an additional yard was established in Cushing, Okla.
By the '90s the company added well service to its existing fishing and rental tool services. However, in April of '92 Hoss and its workover rigs were sold. 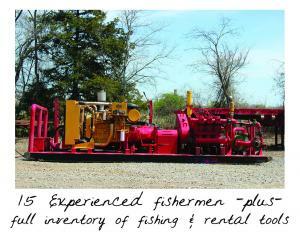 This allowed the company to focus its efforts and get back to its roots in the fishing and rental tool business. In '95 the company became HOTCO and added an additional yard in Ada, Okla. During 2008, HOTCO added "Hough Haulin" to its portfolio. It also rebranded itself to HOTCO Oilwell Fishing & Rental Tools. The company finished out the '90s by acquiring a new yard and its tools in Lindsay, Okla.
HOTCO has weathered the downturns of the industry right there beside you. Through it all HOTCO's provided the very best level of service, something that is never going to change. HOTCO is the oldest privately owned tool company in Oklahoma and something HOTCO's determined to make sure doesn't change.